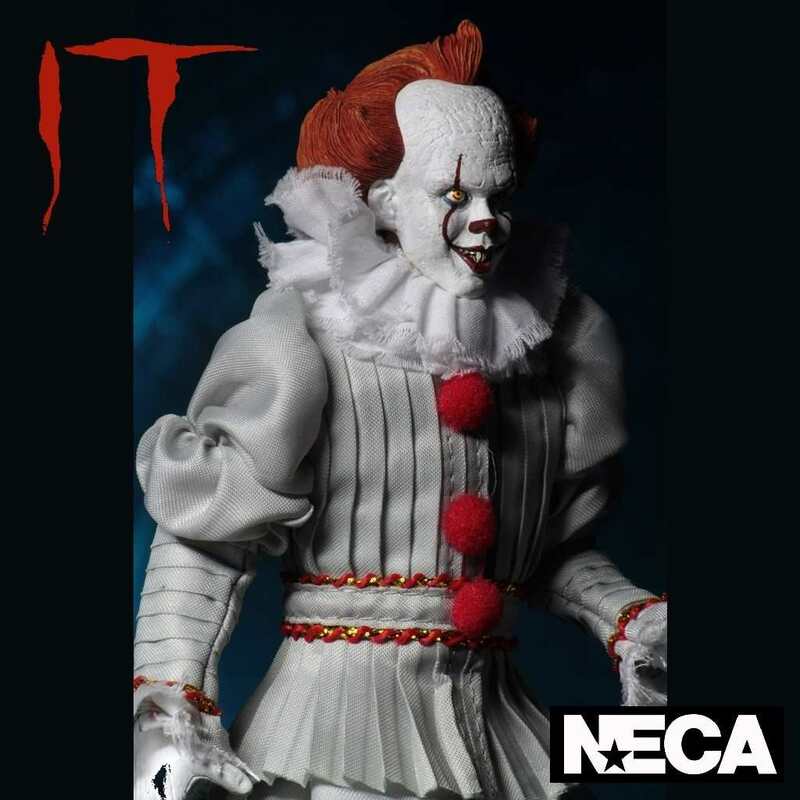 From NECA we introduce this new IT (2017) clothed version of Pennywise and each costume has been individually hand sewn. 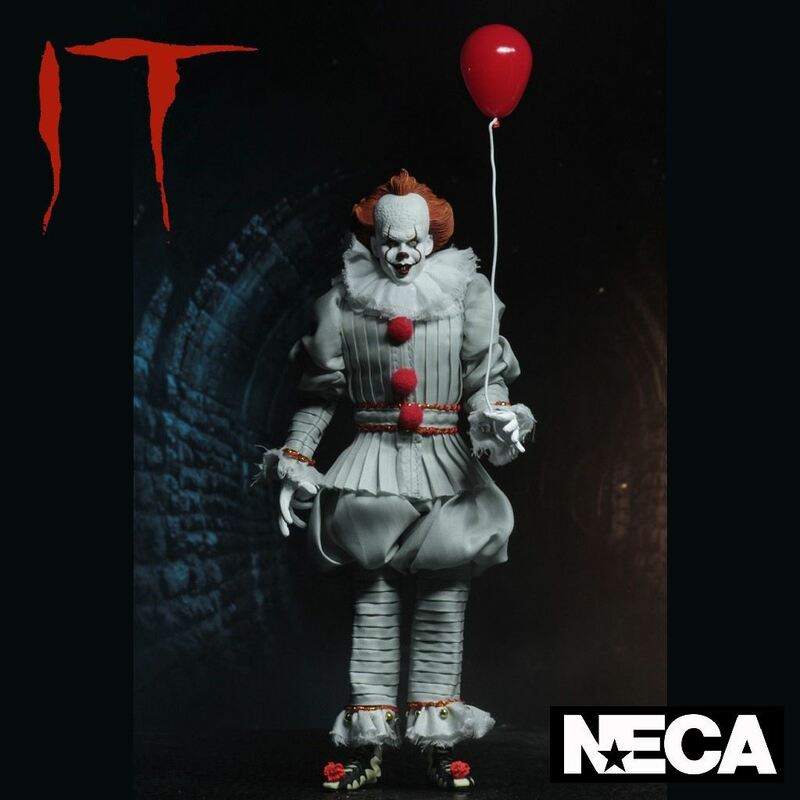 NECA presents the IT (2017) clothed version of Pennywise the Dancing Clown in action figure form and based on the character from the acclaimed horror film and the original novel by Stephen King. 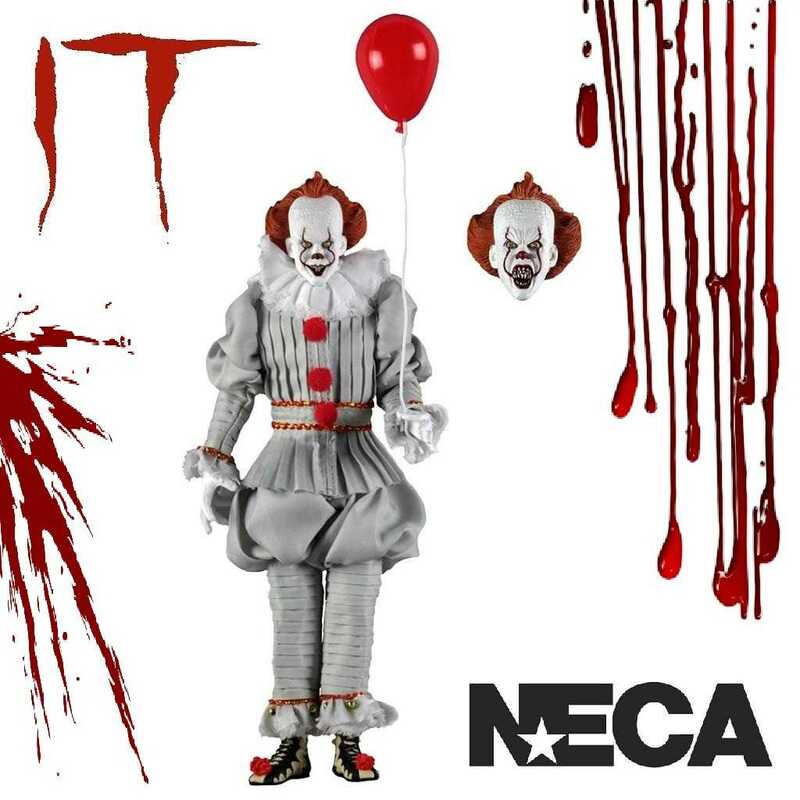 This is NECA's deluxe and most elaborate clothed figure ever and they have painstakingly tailored the ornate costume for Pennywise The Dancing Clown with high-end fabrics to create this amazing action figure and each costume has been individually sewn to truly create a one-of-a-kind collectible. 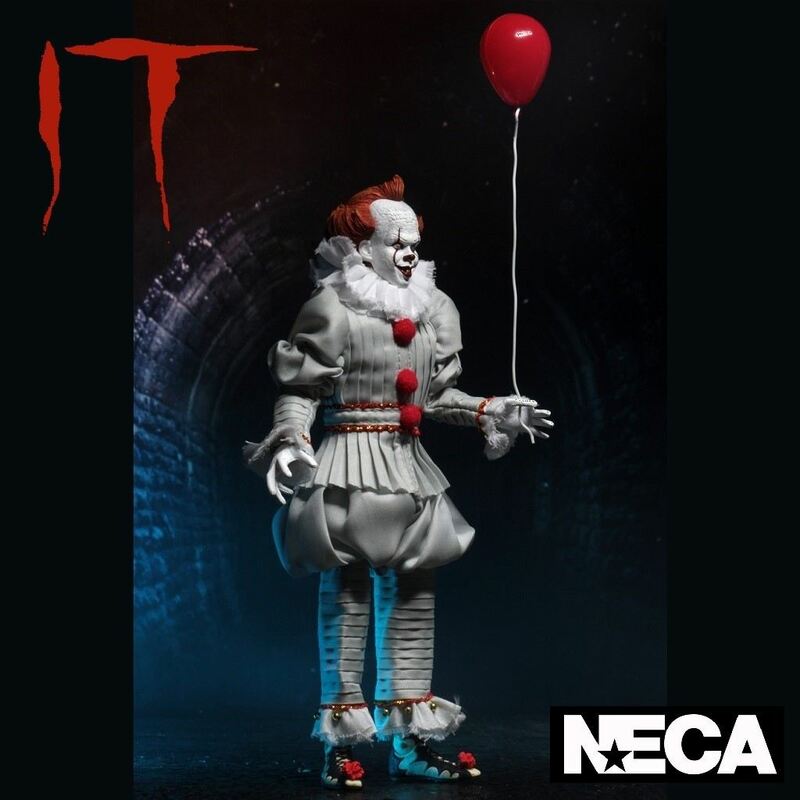 The 2017 version of the nightmare-inducing clown was portaryed by actor Bill Skarsgård and the figure stands at 8” tall and features two interchangeable head sculpts, three interchangeable hands and the signature red balloon. 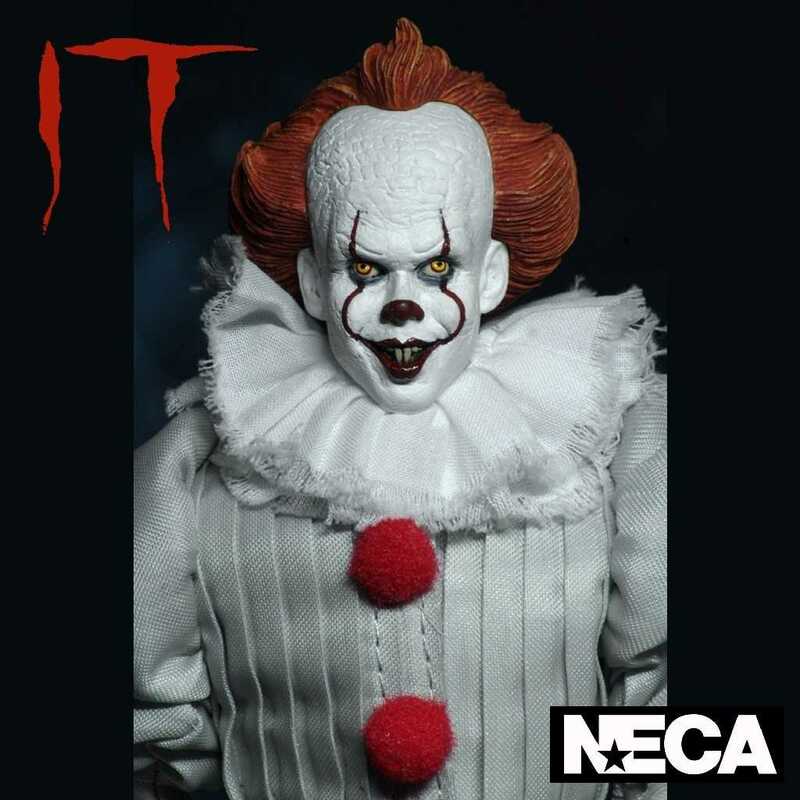 Yet another great Pennywise to add to your collection.